"Mom, what a great idea!! We could do this!" And so, Swittens was born! My daughter, Denise, was a figure skating coach and owner of a skating program. She was always looking for ways to stay warm on the ice. We saw some recycled woolen mittens at an art fair in the summer of 2009 and decided we should give it a try. 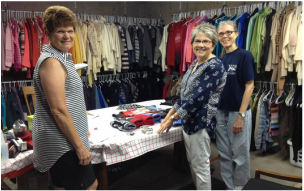 We created our own pattern, Denise shopped for sweaters to recycle, and I sewed. I made a few pair for gifts for her, her coaches and students… and they asked for more. The next year I made about 50 pair to sell at local figure skating shows and competitions and the demand continued with us creating more than 75 pair the third year. Encouraged by my son, husband, and the rest of the family, in 2012 we decided to grow the business! We created a new logo and custom tags and a workshop in our basement. I hired three retired, creative friends as independent contractors to help design and sew, my granddaughters got into the act washing and sorting buttons bought online, my daughter and daughter-in-law continued shopping... and my husband held down the fort!! We started to roll!! In 2015 we made over 685 units, including 225 pairs of mittens, 150 ear warmers, infinity and cowl scarves, purses, fingerless mittens, unique blanket totes and we continue to grow our sales. We reach our customers through our own "trunk show," local arts and crafts shows, Facebook, and word-of-mouth referrals. We are continually asked if we have a website, but have hesitated as we want to keep our business small and manageable so we can still have fun, travel, and play with grandchildren. But alas, the desire to share our products with a wider audience was too great, so we found the expertise (my son again!) and are took the leap to online sales in 2016! There are many mittens available that look similar to Swittens, but our mantra is: "We only make BEAUTIFUL mittens." We look for wool sweaters with unique designs or embellishments to recycle, we create visually exciting combinations of colors and textures, and we decorate each pair with vintage or specially chosen buttons. We sew with art and precision and every mitten, ear warmer or scarf is carefully examined to be sure it is up to our standard of quality. We love each totally unique creation!! We are also committed to customer service and making shopping with us a totally enjoyable experience! 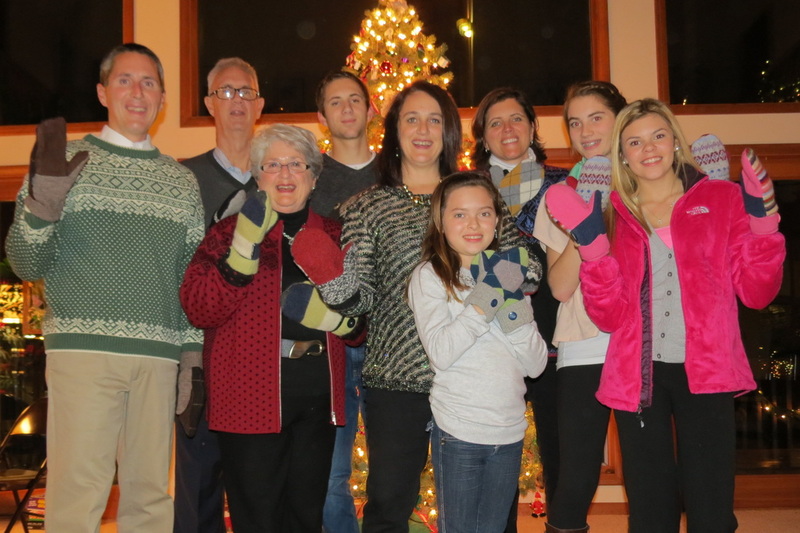 Swittens mittens are made from sweaters that are at least 80% wool, are washed and felted in a dryer. We search for unique patterns and designs that are attractive and will wear well. Our mittens are lined with polyester no-pill fleece and are incredibly warm and wind resistant. We trim them with vintage and unique buttons. They are also sized Small (glove size 6.5-7), Medium (glove size 7-7.5), and Large (8-8.5). Ear warmers are made from the same sweaters and lined with polyester fleece. They are also trimmed with special buttons. Infinity scarves are created from cashmere and soft merino wool. They range from 60" to 75" in circumference. ​We recommend that all of our creations are hand washed in a mild detergent and laid flat to dry. Leslie Black: Born with a needle and thread in hand, Leslie has been sewing since she was very young. She is also a graduate of Miami University Home Economics program and taught high school for 30 years. "The Swittens team has added a whole new 'wooly' and creative dimension to my repertoire of projects and experiences! Swittens are fun to create because '...like a box of chocolates, you never know what you are going to get...' but they are always good!"